What makes Lunchbox Orders different? Customized For Your School: We build and facilitate a customized lunch program for your school. You select the ordering days, restaurants and menu items you would like to offer on your ordering calendar. Our focus is to facilitate a program that represents the interests and priorities of your school. Fundraising Opportunity: With every menu item featured, you determine the fundraising amount to be added. Paperless & Cashless: All orders are submitted on the website and payment is processed on-line. No more paper order forms or money collected at the school. 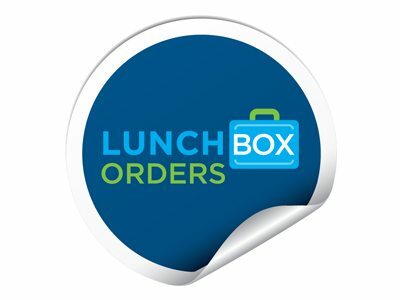 Vendor Management: Lunchbox Orders works directly with the vendor on your behalf. We confirm all vendor deliveries, coordinate weekly order reports and process vendor payments. Weekly Ordering Deadline: The ordering deadline for parents is Sunday at noon for the following week. Parents may order weekly or in advance based – their choice. Customer Service Support: We have a customer service team available 7 days a week to support parent’s questions and ordering inquiries. Organized and Professional: Lunches are delivered to your school organized by classroom and labeled with the student’s name, teacher/grade and order details. Your school’s fundraising lunch program is one click away! Lunchbox Orders provides lunch to our students 2 days a week. The online ordering program was easy for parents to follow and they quickly caught on to the routine of ordering the lunches. After a year of working with the Lunchbox Orders program we found the entire experience very successful. A win/win for all parties involved. The vendors have been cooperative and punctual with their deliveries so that students receive their lunches warm. Most of all Melissa Roberts has been a pleasure to work with through-out the programs delivery. She could be reached quickly by email or phone if there was a problem with delivery and the problem was soon resolved. Any mix-up was usually a result of students thinking they were supposed to receive the lunch when in fact a lunch was not ordered by the parent. As a school we saved time with the administration of having to provide lunches, the teachers or secretary were not collecting or counting money and were able to focus on more important academic issues. We have been so pleased with the Lunchboxorders program we will be having them provide our students with lunches for the next school year. As a busy working Mom, having the option to purchase lunch for my children once a week is a treat. I have found the experience with Lunchbox Orders very positive - I appreciate the ease of on-line ordering and I like the reminders that come the week before that says "you haven't ordered for next week" - sometimes I forget and it's nice to get a reminder! I enjoy the choices offered and appreciate that the lunches are affordable - my children have enjoyed the food each week. As a member of the Parent Council, I can attest to the fact that Lunchbox Orders has been easy to work with - Melissa Roberts is accessible and always happy to help if there is a mix-up (there has only been one all year!). The fundraising portion is a bonus and is also very easy with nothing to do on our end. We've been happy since the beginning and are looking forward to our continued partnership in the new school year.